Zoom unifies cloud video conferencing, simple online meetings, group messaging, and a software-defined conference room solution into one easy-to-use platform. Zoom offers video, audio, and screen-sharing across Windows, Mac, Linux, iOS, Android, Blackberry, Zoom Rooms, and H.323/SIP room systems. Clicking into the Zoom LTI link launches Zoom with your account, and adds you to the meeting as the Host. You can record and manage the meeting just like you usually do. 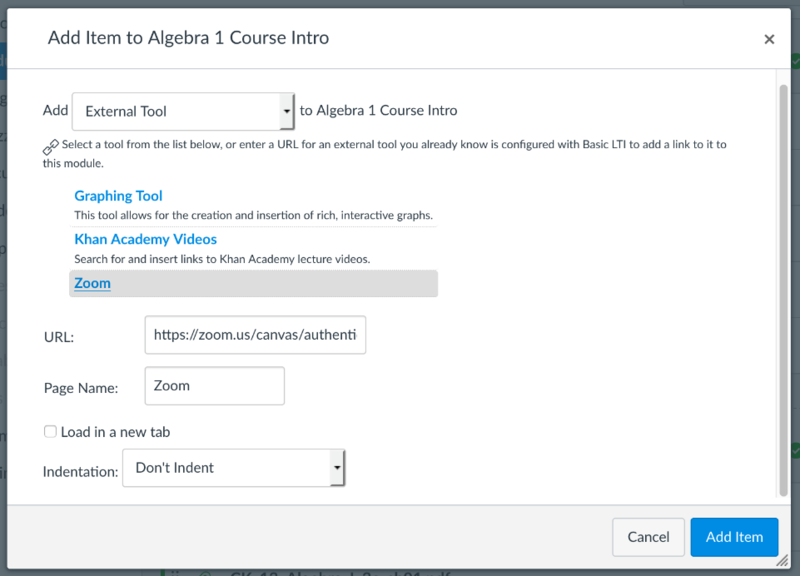 Your students will click the Zoom link in the course, and get added into the Zoom call as participants. They do not need Zoom accounts to join the call. 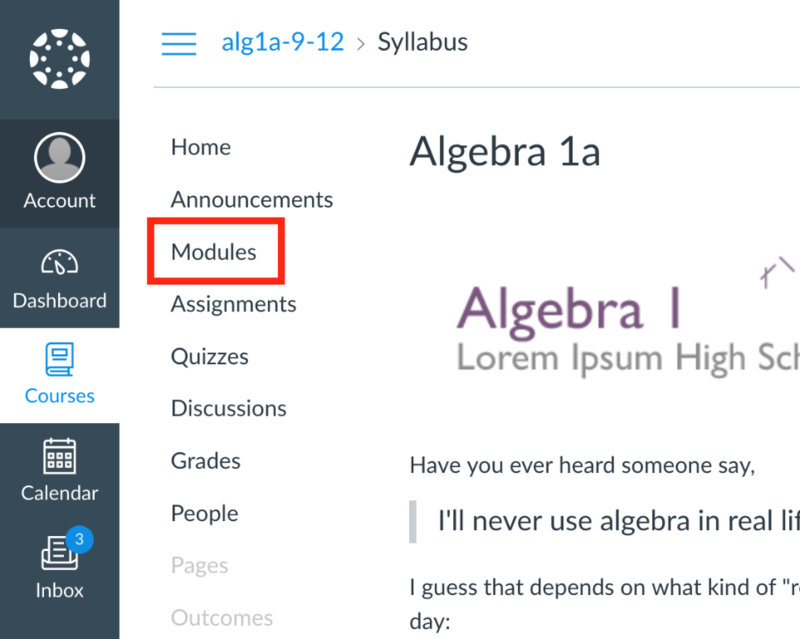 Click + in the Module where you’d like to add Zoom. Scroll down the list and click Zoom. Click the Add Item button at the bottom.